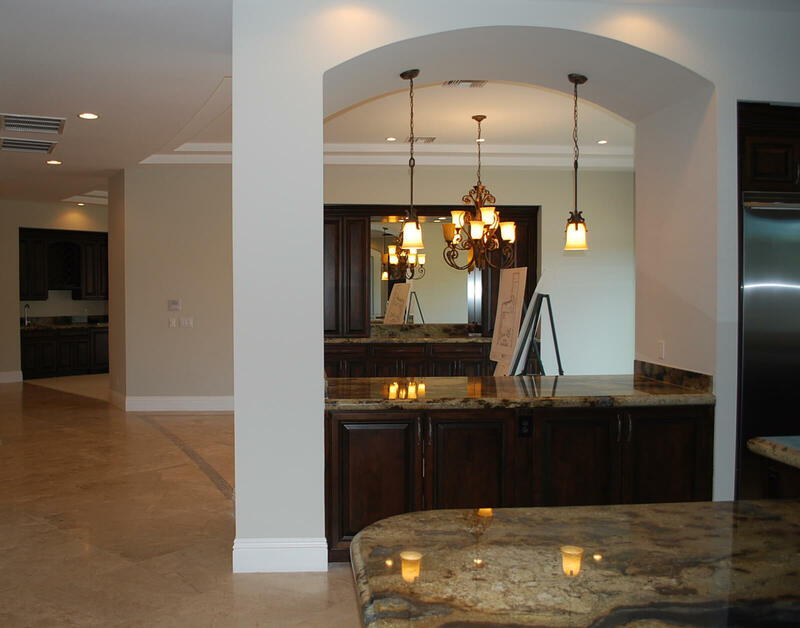 Refacing the cabinets of your Las Vegas kitchen is easy with Majestic Cabinets! Rather than waiting weeks or months for a complete kitchen remodel, give your kitchen a brand new look and feel in a few days. Cabinet refacing keeps the current layout of your kitchen in Las Vegas, leaving you with less mess and aggravation than a complete kitchen tear-out. Majestic Cabinets will remove your old doors and drawer fronts and replace them with your selection of door style, wood species, stain color, glaze, crown molding, and hardware. The variety of options available is nearly endless. Cabinet refacing is also an eco-friendly option for Las Vegas. Because you keep your same cabinetry and less plumbing and electrical work is needed, less waste is sent to landfills. No matter the size our scope of your project, refacing is a cost-effective, ecologically sound, and simple solution to your kitchen remodeling needs. Are you ready for a no hassle no pressure estimate of your Las Vegas cabinet refacing project? 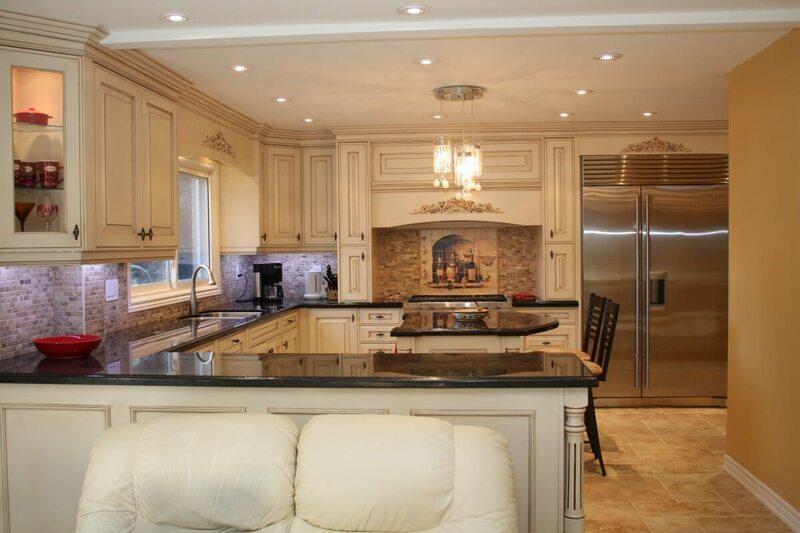 Majestic Cabinets in Las Vegas specializes in cabinet refacing with extraordinary care and attention to detail. For stupendous customer service and superior quality that you can see, call Majestic Cabinets for your the best cabinet refacing near me in Las Vegas today! One way to increase the livelihood of your kitchen cabinets is a good cleaning. Majestic Cabinets will scrub your existing cabinets in Las Vegas to remove years of built up grease and dust. You’ll be amazed at how great your cabinets look after just this one refinishing stage. Next, you can take your pick from our huge stain collection. Cabinet refinishing in Las Vegas has the same enhancing effect without the staggering price tag. You might also be considering refacing your cabinets. Cabinet refacing is the perfect way to keep the existing layout of your cabinets in Las Vegas, but change or modify the style. Replace your cabinet doors, drawer fronts, and hardware to match your countertops, floors, and appliances. This will help you create a tightly unified look in your kitchen. Another option for homeowners in Las Vegas is to design your own custom-built cabinets. Majestic Cabinets can help you choose a design for your cabinets that will go well with the architectural style and decor of your home. Custom-built cabinets can compliment your style and enhance the beauty of any room. Give us a call today to see how cabinet refacing is done from Majestic Cabinets. Let us help you remodel your kitchen or bathroom in Las Vegas.